The Reliance Infrastructure Ltd.’s Mumbai Metro One in collaboration with TMW Fintech Pvt. Ltd. and the Federal Bank, on Monday, launched a 2-in-1 travel card, an official said. The smart card, to be powered by MasterCard, will enable commuters to enjoy a hassle-free travel by Mumbai Metro besides availing of hybrid banking services. The TMW Metro Card can be used as a Metro Smart Card to travel and reload as and when required, and also at any MasterCard location as a prepaid bank card after activation. The commuters can access all the services they enjoy from a bank with the convenience of a prepaid wallet and its multiples features would help them plan and manage their routine finances smartly. The Mumbai Metro One has a daily week-day ridership of about 450,000 and passengers use a closed loop card either as a Store Value Pass or Monthly Trip Pass. 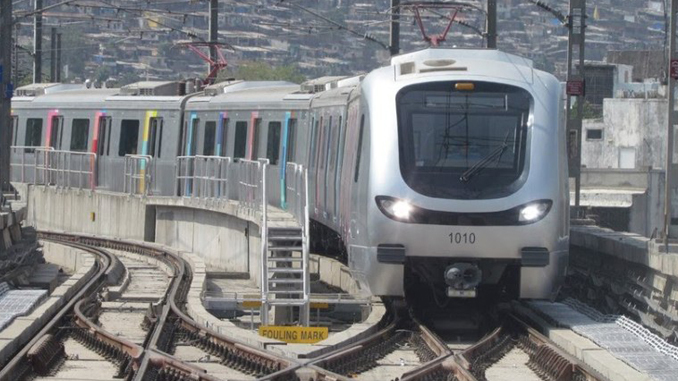 The official said that the TMW Metro Cards are available at all Mumbai Metro customer care counters with one-time payment of Rs 50 of which Rs 30 will be credited in the customers’ accounts after activation. Rail Analysis insights: The smart card, to be powered by MasterCard, will enable commuters to enjoy a hassle-free travel by Mumbai Metro besides availing of hybrid banking services.